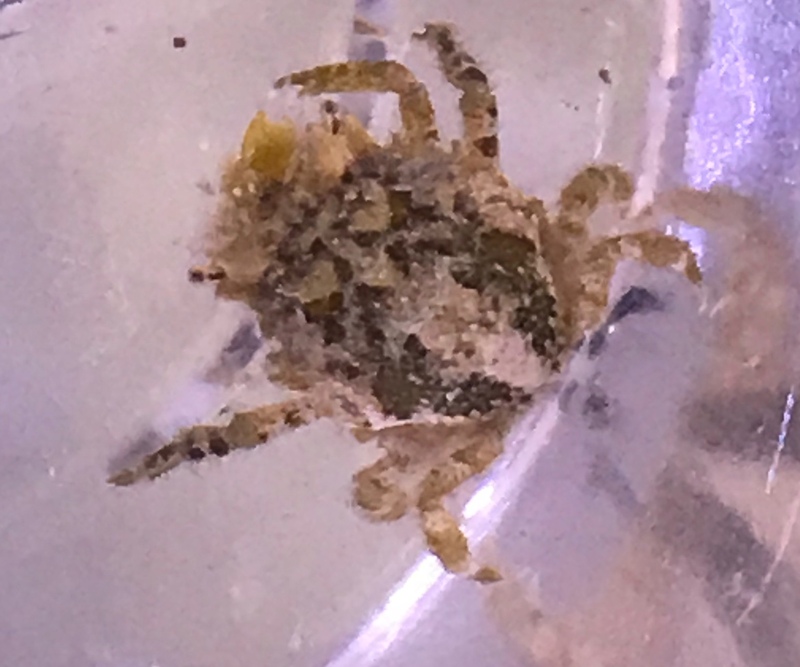 The Pitho Crab, also known as the Naked Decorator Crab, moves slowly through the aquarium slowly picking at algae growing on the rock. They eat a fair amount of algae, and even bubble algae at times. The Pitho Crab, or Pitho mirabilis is also known as the Naked Decorator Crab. They were given this name because they do not usually wear camouflage. They simply blend in with the algae they live among, and move slowly to avoid detection. They eat a fair amount of algae, and even bubble algae at times, and get along well with Emerald Crabs. They are more peaceful and docile than emerald crabs, but do not eat as much algae. They are most active at night.